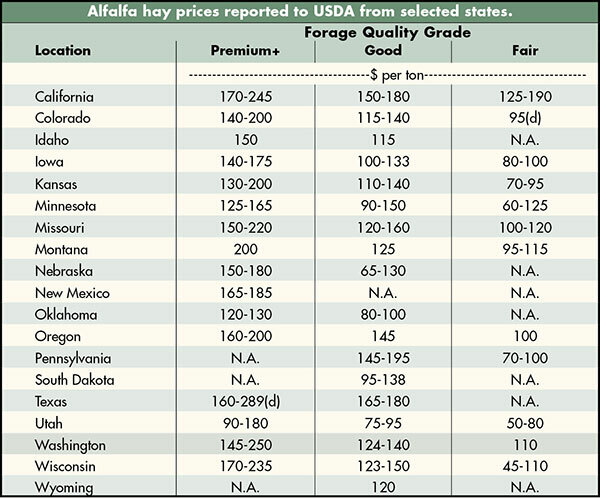 Below are examples of alfalfa and grass prices being paid FOB barn/stack (except for those noted as delivered, which is indicated by a "d" in the table below) for selected states at the end of the day on Friday, June 9. 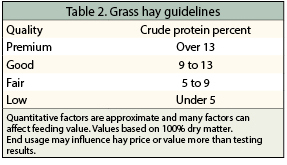 Large ranges for a particular grade and state are often indicative of location and/or bale size. 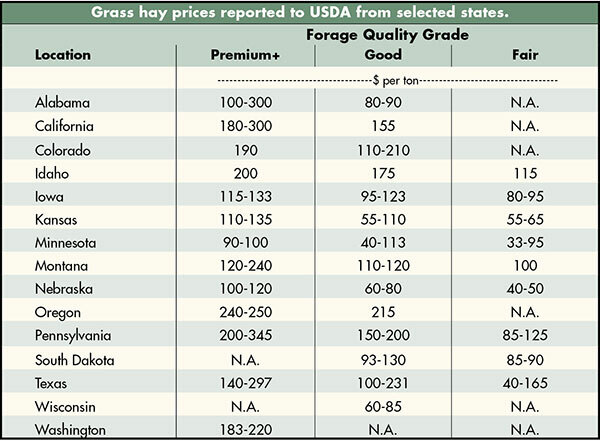 Also check the USDA Hay Market Prices for additional locations and more detailed information.